Our guest this evening is Chairman of the Institute of Masters of Wine (IMW). She herself became a Master of Wine (MW) in 1997. She is also selects all of the wines for the Opimian Society, Canada’s largest wine buying club. And she joins me live now from California: Welcome to the Sunday Sipper Club Jane Masters! What was the exact moment when you realized that you wanted to become a Master of Wine? Tell us exactly where you were? What triggered the thought? How did you feel? Take us to the moment during your studies or the exam itself that you found to be most difficult? What exactly was it? Why was it so hard? How to you overcome it? Why do other people want to become Master of Wine? 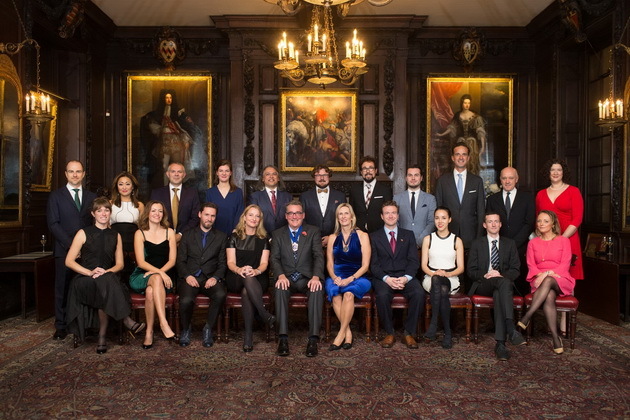 What are the main differences with Master Sommelier program? Tell me about one of the more interesting Master of Wine graduates? Perhaps he or she has fascinating background and/or works in an unusual job today? 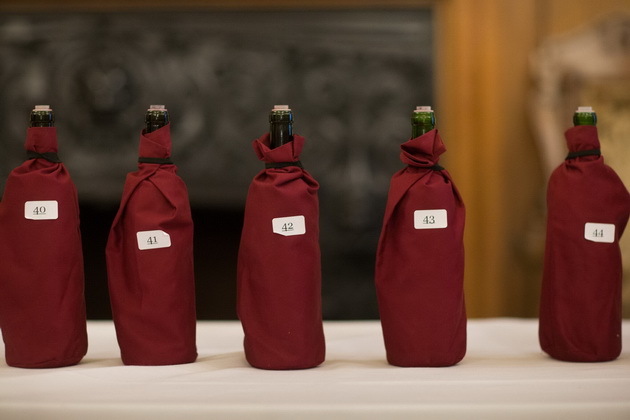 What is the pass rate for the Master of Wine program? 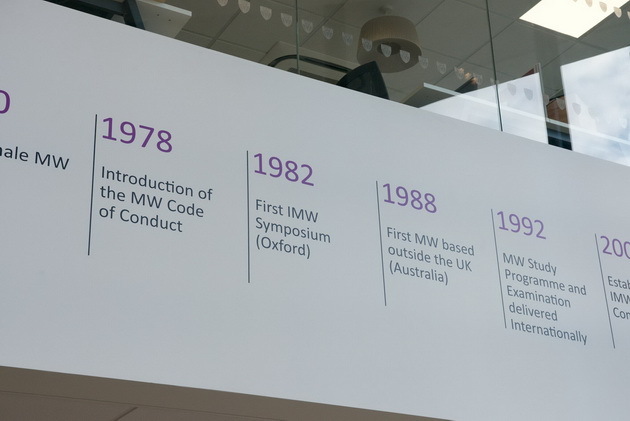 How many MWs are there in the world? In Canada? Women versus men? What trends and changes are you seeing in MW program? What was your first Opimian experience after you became our master of wine. How long have you been selecting wines for the Opim? Tell us a story about a wine that was the most challenging to find? When it comes to selecting Opimian wines, what do you do differently today than from when you started? When it comes to scoring Opimian wines, how often do you give a score of 90 or above say in a year? Why not score every wine along with the tasting notes you provide? 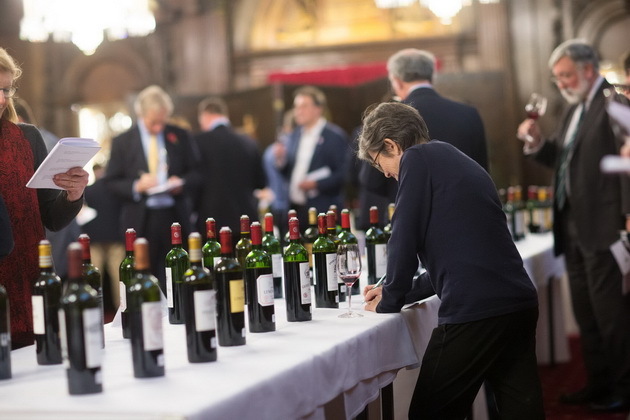 What is you favourite part – a specific moment or task – of selecting wines for the Opimian? What’s the best piece of wine advice you’ve ever received? What’s the most useful wine gadget you’ve come across? How did you discover it? What was something you were wrong about as it relates to making wine? Which winemaker do you admire most in the world? Why specifically other than he or she makes great wines, is attentive to terroir etc? Describe the downright weirdest wine pairing you’ve ever had? Where were you? Describe the food in detail and the flavours? Which wine? Did it work or not as a pairing? If you could share a bottle of wine with any person outside the world, living or dead, who would that be? What would you ask them? Elizabeth Schweitzer · 27:08 Fascinating! I am a Master Sommelier, 1999 ,who aims to be a MW as well. I did the first week a few years ago and was suggested to take WSET classes before returning. Which I am doing, at Level 4 now . It is quite a challenging course. Congratulations to you and thank you Natalie for this video. Beverly Asleson · 22:52 I do the same Jane I have to take notes, but I find the year the wines are made differ from year to year. Do you feel the same? Paul E Hollander · 0:00 Patti and I just watched Somm and Somm: Into the Bottle. Becoming a Master of Wine seems even more intense. Mike Welling · 31:26 Q for Jane: with her outstanding appreciation of wine, does she favour any type of cuisine to complement her choices and are there any other beverages she partakes in that she finds as interesting as wine? Beverly Asleson · 37:29 Thank you Jane it was amazing. Beverly Asleson · 31:20 Paul- I looked up Opinion and it looks like only in Canada. Paul E Hollander · 29:26 Is this group just for wines in Canada or does it include the US. Lori Kilmartin · 28:19 What was her most memorable wine experience – place/wine/company ? Mike Welling · 32:41 Another q based upon her last statement: does Jane believe that price equates directly to quality. Mike Welling · 16:35 Hi Natalie MacLean – it sounds like a lot of work…so much easier just to buy and drink! Beverly Asleson · 31:40 opps-Opimian. Lori Kilmartin · 37:26 Thank you Jane – very interesting!! 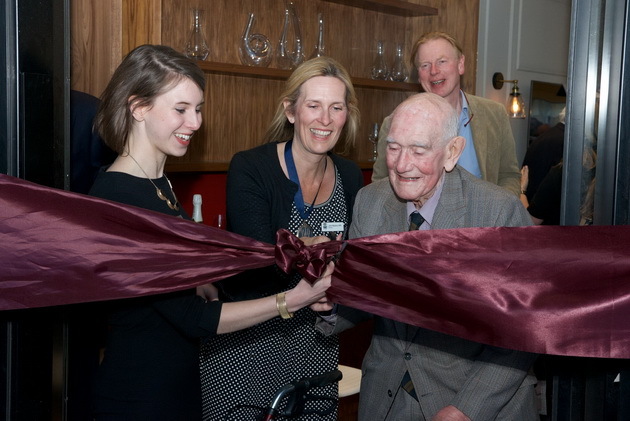 Chairman of the Institute of Masters of Wine (IMW). 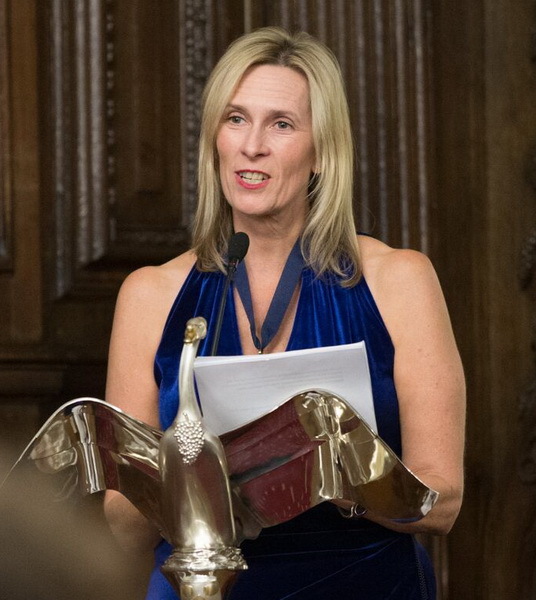 Jane, who is the 53rd Chairman of the Institute, became a Master of Wine (MW) in 1997. She is an international winemaking consultant and runs her own business, Mastering Wine. Jane trained as a winemaker at the Institute of Oenology in Bordeaux following a degree in Biological Chemistry. After five years in France studying and making wine, she worked for Marks and Spencer’s for 13 years, ultimately managing the Wine and Drinks Category. Opimian, Canada’s largest wine club with 20,000 members, has entrusted the selection of its wines to Jane Masters. Representing the highest achievement in the wine industry, Masters of Wine have studied everything wine related, tasted wines from around the world and tested their palate in every way imaginable in order to pass the rigorous tests set out by the Institute of Masters of Wine. Since 2010, it’s Jane Masters MW who tastes and puts her stamp of approval onto each and every Opimian bottle. This process embodies Opimian’s values by recognizing that wine goes beyond mere taste – behind every bottle stands a passionate human being. That’s why she personally meets all of Opimian’s producers and visits most of their vineyards. 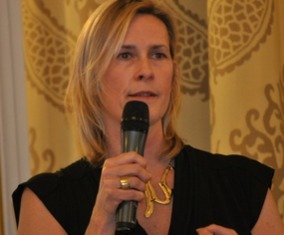 In 2005, Jane set up her independent consultancy Mastering Wine. She works with her clients on wine business strategy, quality evaluation and improvement, product development, sourcing and communications. 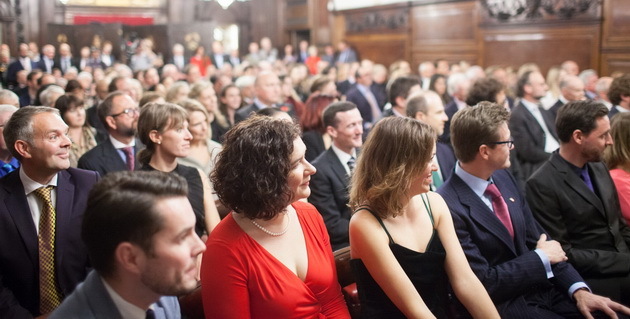 Jane’s extensive wine experience is complemented by an Executive MBA from the London Business School. 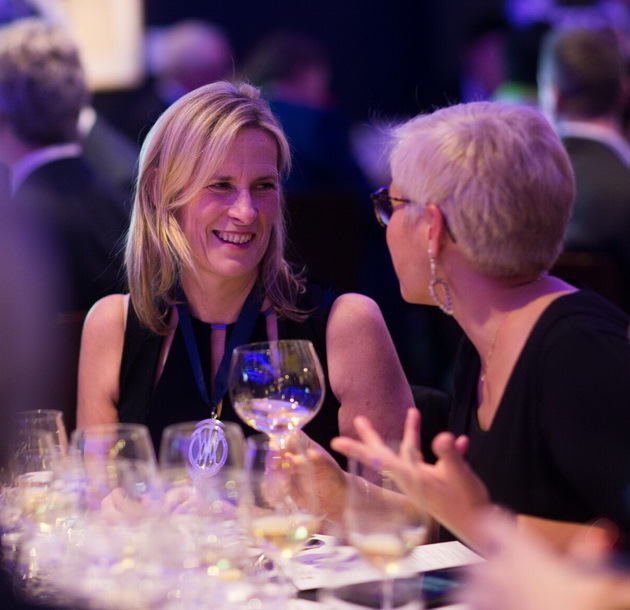 Jane Masters became a Master of Wine in 1997 and is currently one of 354. 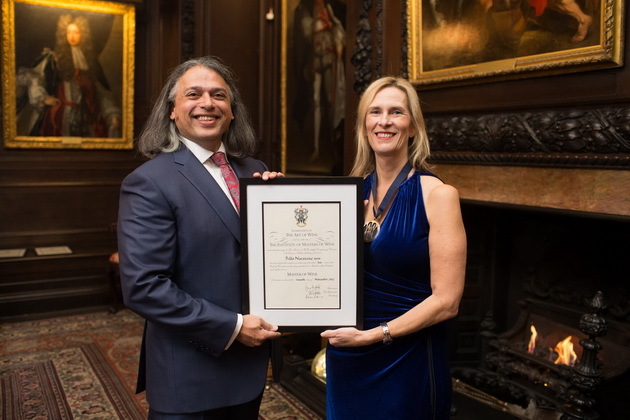 She was elected as Chairman of the Institute of Masters of Wine in September 2016. Jane is an independent wine consultant with over 30 years of experience and clients around the world. Her varied background enables her to work in all sectors of the trade including business strategy, quality improvement, sourcing, press & marketing communications, events organization and training. 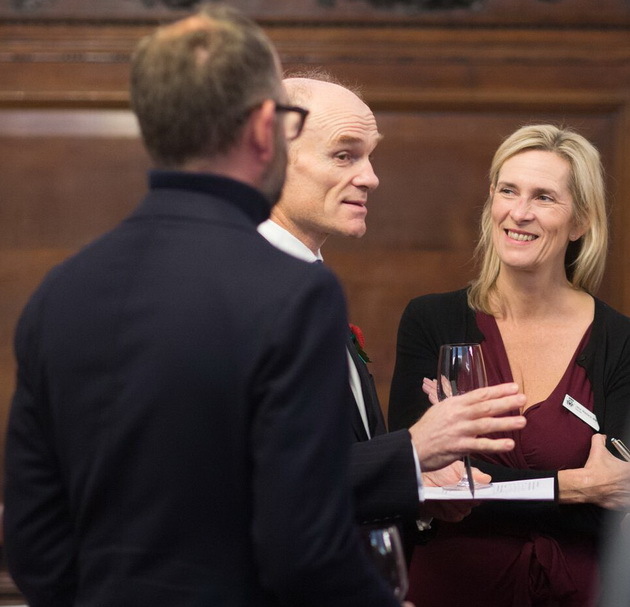 Having originally trained as a winemaker at the Institute of Oenology in Bordeaux, Jane worked in wine production in France prior to joining the wine buying team at a major UK retailer. After 13 years in UK retail and running the Wine & Drinks Category for Marks & Spencer, Jane set up Mastering Wine in 2004. A confident and engaging communicator Jane regularly writes about wine and hosts large tasting groups. She has filmed several wine shows and written sections for Jancis Robinson’s Oxford Companion to Wine and Wine Opus. She is a senior panel chair judge for the International Wine Challenge. Jane has visited all major wine growing regions around the world and is really excited to be coming back to Chile after many years. 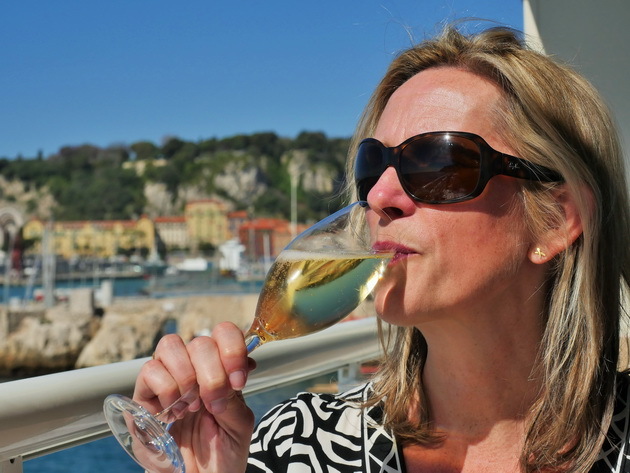 She lives between London and Nice in France where she enjoys the food, wine and lifestyle. Her wine experience is complemented by an MBA from London Business School. 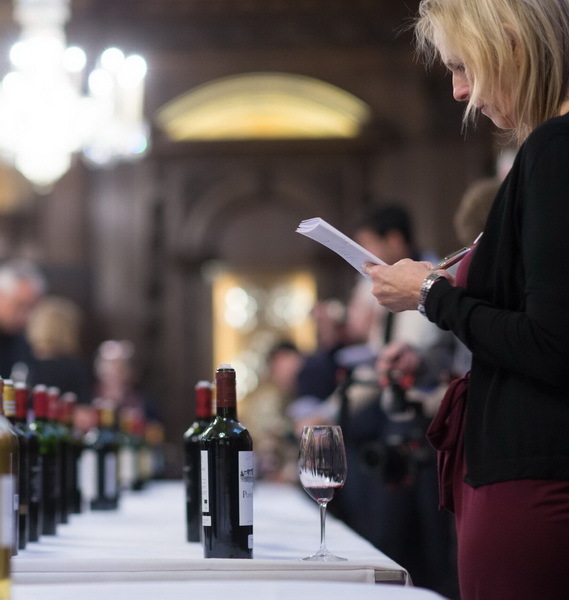 Have you ever wondered what it takes to become a Master of Wine? It’s the most prestigious designation, the most honored certification in the world of wine. It takes years of study. It takes tasting hundreds, if not thousands, of wines. Well that’s exactly what we’re going to learn from our guest tonight, who joins me live from California. Oh, and we’re just having a few technical issues but we’re working through them here tonight. Folks, please comment in the comments below or to the side, wherever you are. Have you ever wondered what it takes to become a Master of Wine? Are you curious? Yes or no? I would love to know that. But also, our guest tonight is the lead selector for wines for the Opimian Club, which is the country’s largest wine buying club. She’s tasted hundreds, if not thousands, of wines. And selecting hundreds for this group every year, if you can imagine that daunting, challenging task. I’m Natalie Maclean, editor of Canada’s largest wine review site NatalieMacLean.com and you’ve joined us here on the Sunday Sipper Club where we gather every Sunday at six P.M. Eastern, Toronto, New York time, to talk to the most interesting people in the world of wine. Now before I introduce our guest fully, I would love to know, as I said, yes or no, are you curious about the Master of Wine? Are you curious about the Opimian Club? Maybe you haven’t heard about that before. Maybe you are already a member. If you’re a member of the Opimian Club post below. We’d love to know that. And just take a moment while we’re live to share this video so you can let others know who might be interested, what we’re chatting about tonight. And ideally, comment as well, and they’ll know why you think it’s of interest. If you want to know when we go live every Sunday? Click on the “Follow” button and then you will be notified. All right. Our guest tonight is a Master of Wine. And she received her own designation in 1997. And then she has become the Chairman of the Institute of Masters of Wine based in London. Although she joins me from California tonight because she is hosting a seminar for Master of Wine students in San Francisco. And as I said, she is the chief wine selector for the Opimian Society, our country’s largest wine buying club. And she joins me now, live from California. Welcome to the Sunday Sipper Club Jane Masters. All right. Oh, good. Yes, well thanks for your patience. I’ve had some, a few starts there. You never know with technology. But, thank you, Jane. And applaud its to you for logging in remotely on the road from your hotel room. Are you teaching a seminar there in San Francisco? Well, there are quite a few Masters of Wine here at the moment so I haven’t been teaching myself. But I’ve been talking to some of the students. We’ve got about ninety-eight students here at the moment. Yeah, they started. I only arrived yesterday, but they started, they arrived Thursday evening and started on Friday. And they’re busy tasting downstairs, so I’ve just snuck off with a glass of wine. Very smart. The work never ends. All right. Jane, maybe fill in a few details from your own background. When did you know that you wanted to become a Master of Wine? It must, you must have started on your wine journey well before that, sort of Everest. Yeah, I did. I don’t know exactly when I started on my wine journey because we always had wine, you know, wine at home when I was a kid. But I guess I got really serious about wine when I was at University in the U. K. I actually went off to study winemaking in France and had been in the trade for a number of years. But the moment I decided, it wasn’t one moment, but I decided to take my Master of Wine exams whilst I was working for a retail company in the U.K. I’d met many Masters of Wine over the years. 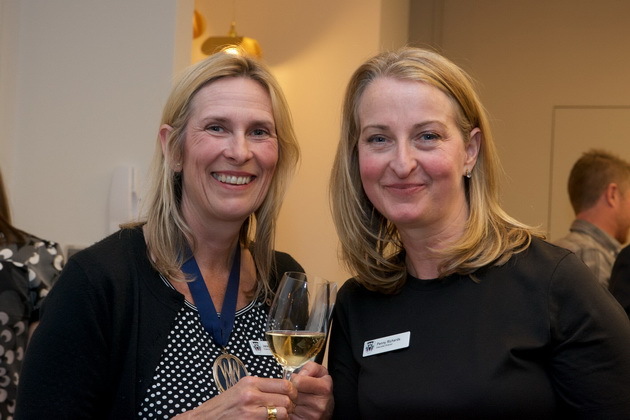 Probably the first person I ever met was Serena Sutcliff, many years ago, actually before I’d ever decided, or thought it was possible to go into the wine trade as a proper job, so to speak. You know, and then when I did join the trade I met so many Masters of Wine that were just fascinating in terms of the knowledge that they had, their experience. And it just gave me the taste for it. So to speak, yeah. Absolutely. Now last week we had Elyse Lambert on the show and she was named Canada’s best Sommelier, fifth in the world. But she’s a Master Sommelier. What would you say are the major differences between the Master of Wine program and the Master Sommelier? Well, they are quite different. Both test the candidates’ knowledge at a very high level, obviously. Master Sommelier are extremely knowledgeable and gifted too. The way in which we are tested, and the breadth, the syllabus, if you like, is quite different in that the Master Sommelier exams and the Sommelier exams that lead up to that, are very much focused on the entree, the restaurant trade. Service of wine is an important factor, as well as tasting and evaluating wines. And in fact all their exams, as far as I know, I never sat the Master of Sommelier exams, but they’re all done in person, and orally. The Master of Wine exams are quite different. They are, if you like, a little bit more academic in that they are written papers. There’s a, we are tested on a very wide range of topics. And you have to know both that breadth and depth of each of the subjects. We have five theory papers. And they test everything from how grapes are grown, how wine is made, how wine is matured, and quality control. You’re tested on marketing, on the commerce of wine, international trade. And then the more sort of philosophical aspects of wine are incorporated into the last paper as well. And then there’s the practical papers. 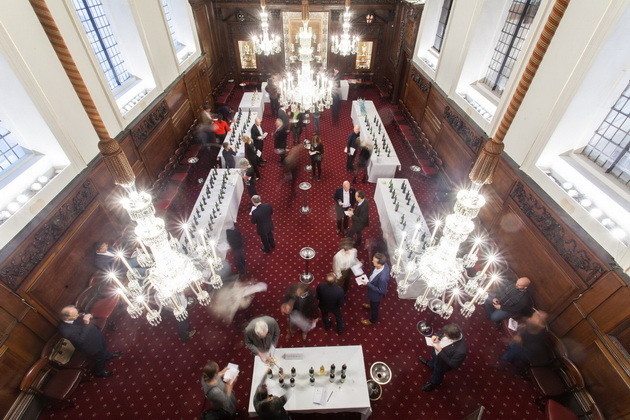 And each practical exam is a two, just over two hour exam, where candidates are given a range of twelve wines. In fact the guys that are here this morning had the pleasure of sitting a mock exam this morning for that time. And basically you are presented with twelve glasses of wine and asked a series of questions. And what is very important isn’t just identifying that wine, it’s actually being able to explain why you believe it’s that grape, or that region, or that vintage, all based on what you can actually taste and smell in the glass. And being able to actually communicate that, and to evaluate the quality of the wine based on what you find in the glass. It’s quite a different exam to the Master Sommelier. Wow. And when you were taking it yourself or what you’ve seen others going through this process, what do you think is the absolute toughest part of the exams? Well, I think first of all, they’re tough exams. I think people struggle with different bits of it, depending on which, you know, what your background in wine has been. They are trade exams. Everyone works in the wine trade, but may work in different sectors of it. 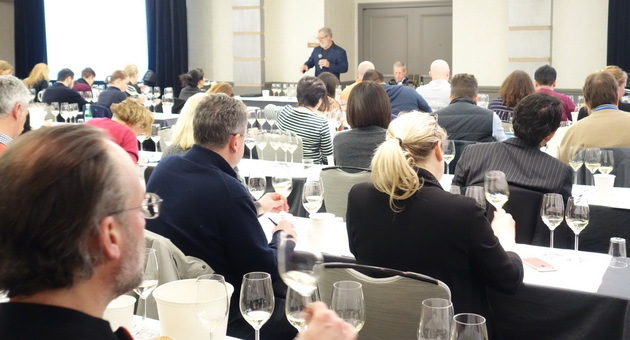 I think an important aspect of sitting the Master of Wine exam is not just your knowledge, and being up to speed, and sort of at the cutting edge of everything. It’s also being able to have the stamina to take the exam for a week. Yeah. You start the week, you have a tasting exam every morning. And then a little break, and then straight into the theory exam. It’s a very demanding week. Tasting exam, theory. Tasting exam, theory. Tasting exam, theory. By the end of the week you’re absolutely shattered. You have to have a certain amount of stamina to get through it. Wow. And emotional fortitude too, I would imagine. All right. Well we are live here and I’ve seen some comments. Let me just mute that and I’ve got the comments. We are live. Sorry for all the technical challenges here folks. But I see you now and it’s all working. 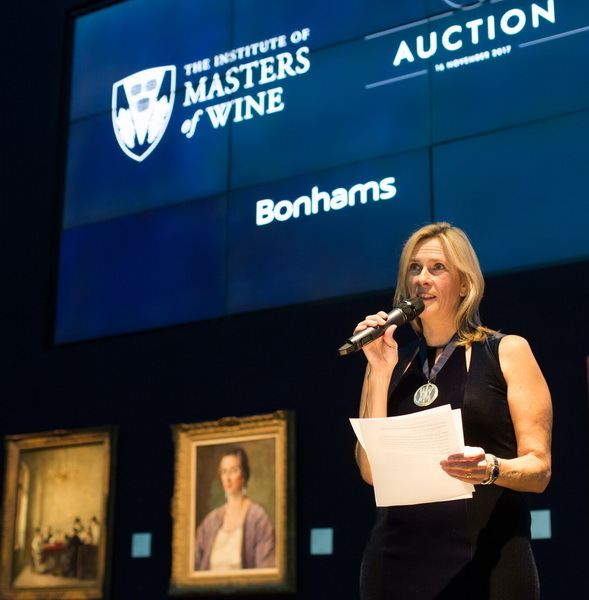 We’re having a fascinating conversation here with Jane Masters, who is a Master of Wine and she’s also the Chairman of the Institute of Masters of Wine. And so welcome Laurie and Dave Head from Ottawa and Ontario. Gwen is here. Paul is here from Virginia. Ann’s here from Halifax. Excellent. Laurie said, “I did a bit of research when I was taking my “WSET courses and it’s a lot of time, work, and money.” Yes, to take the MW. Do you think that, Jane, the WSET, is that sort of a good training ground in preparation for the Master of Wine? Yeah, absolutely. I mean we, in order to get onto the Master of Wine study program there are certain criteria that you have to fulfill. And those are really in place to make sure that people are ready to go onto the study program, if you like. People have to have at least five years experience in the wine trade. They have to have passed the WSET Diploma or an equivalent. Actually I didn’t come through the WSET route because I trained as a winemaker. I had a sort of different route in, but many, many Masters of Wine have come through WSET and I think it’s a really good grounding. Having said that, there is still quite a jump from Diploma, WSET, up to Master of Wine. But yes, it’s a great route to come in. And the other, the two other criteria that have to be met, there is now, as part of the application process, we ask people to do an online test. And that’s really to judge their breadth of knowledge, in that we can have many, many people that are very skilled in wines, but because they have been focused on one particular area they may need to actually broaden out their experience before they come onto the study program. And then the other thing that people have to have is two referees, ideally Masters of Wine, or people, you know, professionals in the trade that have worked with them and that can recommend that they feel that those people are ready to join the program. Wow. Once people get into the program, they’ve completed that pre-training, how many years does it usually take to complete all the studies? I know it probably varies, and if you don’t pass, of course it’s going to take a lot longer, but on average how many years does it take for someone? It does vary. The absolute minimum that you can do it in is three years. There are three stages to the program. Stage one, which is obviously when people first join the program. And actually today, as I say, we’ve got around a hundred students down there. We’ve got some stage one and some stage two students at the moment. Stage one really is the first year, people, candidates get to understand more about themselves and the areas that they need to strengthen or bolster in order to move onto stage two. At the end of stage one there’s an exam. Some people go straight through. Sometimes, actually, people may repeat stage one. Stage two is generally the stage that takes the longest, and the one where it can be anything from, you know, it could take another year or it could take up to five years. You have to complete all the exams within, now, five years. But that is the preparation for sitting the big week that I talked about, the practical and the theory exams. Okay, so do you have to start over if you don’t pass within five years? Yes. So if, what happens quite often is, that people may succeed in either the practical side of the exams or the theory. And that often relates, I think, to their previous experience in the trade. I passed my theory exams first and I think that’s probably because I had trained as a winemaker. I’d done a lot of, you know, theory about winemaking. And so that was the easier part for me. In some cases, it’s people that pass the practical and then take a little bit longer to do the theory. And once you’ve got both those parts, you then go on to the final stage, which is stage three, which is writing a research project on a topic that has been agreed. That the student has put forth and has been agreed by the Institute as something that will be interesting to study, something that they can actually come up with some original research and a conclusion within the sort of scope of what they’ve put forward. And that will add to the knowledge of the trade, if you like. And that can take a year or people can decide to take a little bit longer. That’s why I say it’s difficult to say exactly how long it takes people. But minimum of three years, probably averages about five or six. Okay. And what was the topic of your paper? What did you write about? Well in my day, which was a long time ago, of course, we’re talking twenty-one years ago now, we didn’t have a choice at that point. We’d have to do a dissertation, but we were, at that point, we were given five different topics or titles to choose from. My, I think the one I chose, was Traditions Versus Innovation in Viticulture Research. And I did a, I was very fortunate. I spent some time with Paul Pontallier at Chateaux Margaux, then with Richard Smart at Reymar in Spain, so contrasting, sort of two Old World Regions if you’d like. But one very, very traditional classic Bordeaux, top Chateaux with Reymar in Spain with Richard Smart who brought in all his theories and philosophies about canopy management. It was absolutely fascinating. You learn a huge amount from doing a dissertation, as it was called then, or the research paper now. It really sounds like a PhD for wine. Yeah, it’s not quite at the level of a PhD, but it’s, you know, it’s original research. It makes you think and it’s great. Awesome. Wow. We’ve got lots of people coming in. Dave is wondering if you train at the gym because you’re in such good shape and you’re drinking all this wine? I don’t like gyms at all. I do try, I actually have my yoga mat with me. Oh, good for you. That’s discipline. I like traveling in North America because the hotel room’s usually have space to do it, whereas sometimes in Europe the rooms are a bit too small so I end up moving furniture and things. Yoga and sometimes I do, well not everywhere, but take my swimming costume and try and get into the pool. That’s fantastic. Oh, wow. All right. Well I was imagining you’re lifting the hoses at a winery. Well, yeah, that was the old days. I don’t do that anymore. Abs of stainless steel. Tanks or whatever. Anyway. Welcome, Yan is here. Beverly is here from California. She’s drinking Gift by Kathie Lee Gifford. Oh, I didn’t know she had a wine. Katherine Campbell’s just joined, so has Bill Ellis, Rob Clipperton, Viola Pickram, John Steeves, Mike Welling. “Hey. It sounds like a lot of work. “So much easier just to buy and drink.” That’s why we’re here Mike, we’re here for you, to recommend so you don’t have to go get yourself an MW. Now, in this, who are some of the most interesting people you’ve met, Jane, who have applied for the Bachelor of Wine, been successful? 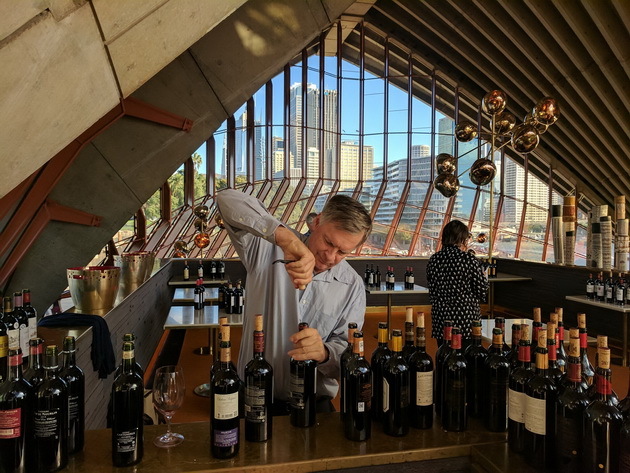 Tell us about a few of the candidates who either had a very interesting or different background, or who now work in a very unusual type job and have come through the Master of Wine program. Yeah, oh that’s a difficult question. First of all, the Master of Wine program is aimed at the trade, so people have to be in the trade and they have to have been in the trade for a number of years. Having said that, there are a number of people that have changed careers and had previous careers and then seen the light, have joined the wine trade. The most interesting, I’m not sure. I know that we’ve got, one of our Greek Masters of Wine was a fighter pilot. What else have we got? I know that many of our Masters of Wine have done, not just in their professional lives, but some really interesting things. Jean-Michel Valette, one of our previous Chairman, has climbed Mount Everest. I think we have a Master of Wine who’s rowed across the Atlantic. Yeah. Some amazingly gifted musicians. Fascinating. But then the wine trade is full of fascinating people. Absolutely. What were your, okay, for someone studying for the Master of Wine, or anyone just wanting to up their game when it comes to tasting wine. Do you have some tips when it comes to like, tasting a wine? Is there specific advice you give? I mean we always get the five stages, the color, the body, and so on, but is there anything that you advise in particular that helps people taste, become better tasters? I think becoming a better taster, a lot of it is about practise. You know, as you say, you all know the five stages of tasting. I think it’s actually engaging the brain while still doing those things as well. I think sometimes, and I think as wine professionals we do it, you almost get into a routine of just swirling your glass and doing this. Yeah, I swirl orange Juice. I was going to say we find ourselves doing it with glasses of water and orange juice, all sorts of things. Which means it’s sort of on autopilot. So I think it’s very important, the experience is important, and practise is important, but making sure that you are actually thinking, if you want to. I’m not saying that at the end of the day when you just want to relax and have a glass of wine, we all need to sort of sit around and think about it too much. I think wine is there to be enjoyed and that’s how you should do it. But if you’re looking to improve your, sort of knowledge and experience, it is just about tasting as many things as you can and paying attention when you can. For me, I have to write notes, because as much as I enjoy a wine at the time and I think, “Wow, this is amazing, I will remember this.” Sadly, I do for a few days, and then about a week later I’ll think, “Oh, what was the vintage of that wine I thought was so great?” I can’t quite remember now, so I have to write things down. But everyone is different. But that’s a good point, Jane, you know. Because when we’re at the beginning of learning to taste wine it’s thinking too, it’s remembering to pay attention. I always say, or somebody else said this, it’s not my original. The difference between drinking and tasting is thinking. I think when we start out, it’s paying attention. But you’re right. You can taste so many wines. You get to, farther and farther in your career and you’re on autopilot, which is another form of absent-mindedness. And you’ve got to get back to paying attention, to what is in my glass? And it’s not just about wine, I think. I think, you know, quite often I think it’s about paying attention to lots of smells and the things around us too. I’m very fortunate in that a lot of the time I’m in France and we have amazing fruit and vegetable markets and things. And just smelling and tasting, smelling different types of citrus fruits in the market when they’re in season, paying attention to that. Even when I’m traveling in the airport lounges I’ll go, if I’ve got some time to kill, then I’ll go into the perfume counters and sort of sniff some of those different perfumes and things. Just, you know, I think you build up a data bank, if you like, in your mind. And having those points of reference also helps you when you’re trying to describe, for yourself or for other people what a wine tastes like. Absolutely. Have you ever tasted, or smelled a wine that was close to Chanel number five? I had a horrible feeling someone was going to ask that. Yeah. I ran into the seminar downstairs and I said, “I need a glass of wine.” And I didn’t pay too much attention, but I think I’ve got, I think it’s a Chianti, and I’m pretty sure it’s, I didn’t look too closely. But it’s a Chianti Reserve, a 2012. There you go. You can identify it blind anyway. Oh, yes, yes, definitely. The wines differ from vintage to vintage or year to year, Beverly, absolutely. Jane, I also wanted to, we’ll come back to more Master of Wine topics. But since our time is rolling quickly here, I also want to make sure we talk about the Opimian Society because what would be your official title or job description with Opimian, which is our country’s largest wine buying club? Well, I’m the Consultant Master of Wine. All the wines that appear in the Opimian offerings have been tasted and selected by me. And I also write about those wines in the offerings that go out to members. My official title, I’m not sure exactly what it would be, but I think it’s Consultant Master of Wine. Okay. You’re tasting and selecting hundreds of wines that go into, I think it’s about eight releases, or catalogs, that get mailed to about, I think about twenty thousand people across the country. And they’re selecting based on your tasting notes what they’re going to buy and get shipped directly to their local liquor store where they pick it up. What’s the, I know I had one question from Carl Bird, who is with the Opimian, and he wanted to know right after you became a Master of Wine, or sorry, following becoming an MW, what was your first experience with Opimian in this role? Can you remember your first experience, or some of your first experiences? In the role? Okay. Well I can remember my first experience of Opimian, which is before I was actually in the role and that was when I went to meet the Board for the interview. That was quite an experience, I can tell you. How did they interview? Did they get you to taste in front of them? There were twelve Board members and I think three or four of the members of staff in the room and I was quizzed. Having flown in from the U.K., which was quite an experience. But no, seriously, when I was then appointed to Opimian, a lot of the work that I do is remote to the office, obviously. I do go to Canada, but only two or three times a year, so all the tasting is done, everything gets sent to me from the producers directly to my office in London where it’s tasted. But I think my first sort of real moment would have been, and I’m not sure exactly what event it would have been. But the member event that Opimian holds where, I don’t know how much your listeners know about Opimian, but as well as receiving catalogs, the club also has area reps, so people who are actually members of Opimian themselves, who are based in different regions around the country, and who will hold events, tasting events, that they organize. And there will be guest speakers and I have participated in a number of those. And just every time I go to one of those, the mix of people, there are members that have been members for many, many years who are absolutely passionate. There are new members that join, that always have. There’s just an electric atmosphere in the room. Just real enjoyment, and it’s not, it’s people who enjoy wine. It’s not necessarily wanting the same level of knowledge as our students downstairs who are preparing for the exams. But people are interested in the producers, in the wines, where they come from, and then interested in so many other things. And just meeting other people. It’s quite a, it’s a fascinating club actually. It’s really good fun. It’s a really good social club for people who love wine. I’m a member as well, and I’ve been to some of those events that you talk about, and they are fun. I mean, Opimian Society might sound high faluting and snobby. It is not. It is really down to Earth. 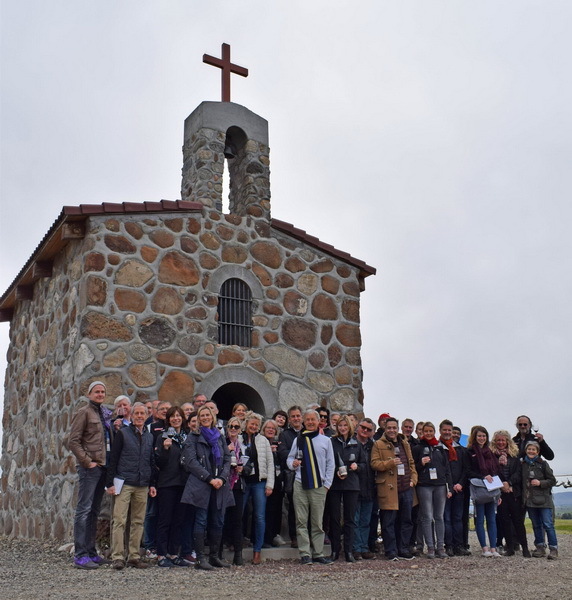 It’s about people wanting to find great wines and share that experience with others, whether it’s at these events, or they also have a Facebook group. And it’s really active. Maybe tell us about one of the most challenging wines you’ve had to find or most interesting story where you sourced a wine for Opimian, and I don’t know, you had to go some extra mile or something was different about it. Again, it’s difficult to pick one thing, but at the moment there is, I think the offering that’s open to members right now is a South American offering, which I worked on a few months ago, now. It features Chile and Argentina, and one of the things I’m really pleased, I was actually in Chile and so were a number of other Opimian members. It was actually last November. And I’m so chuffed that we’ve actually included in that a couple of new producers, Antiyal being one of them. And Alvaro Espinoza, who is I think one of, and who I have known for many years actually, we studied winemaking together in Bordeaux. But who is one of the best, I believe one of the best winemakers in Chile. And also one of the leading experts on biodynamics, but one of the most humble individuals. He is just such a fascinating person and makes absolutely amazing wine. And so to get him to agree to supply Opimian exclusively when actually you know he’s sought after everywhere around the world, for me was a bit of a coup I would have to say. That’s awesome. And remind us the name of the winery, because this is in the current offering. Yeah, the winery is called Antiyal. And the winemaker is Alvaro Espinoza, and there are, I can’t remember now. It’s been a while ago since I chose them. I can’t remember. There’s four or five wines from the Opimian there and they’re all absolutely delicious. Well, fortunately you took notes, so you don’t have to remember now. Well of course I took notes on the information. I noticed, like when I look through the Opimian catalog, not all the wines are scored. You do score some of them. But I was just curious why you don’t score every wine with a tasting note? No, I don’t think you’ll see any scores in there. Normally I don’t score. I do score, but I score the wines for myself. There’s a reason for that and I think that, I think scores are important but I don’t think they’re the be all and end all. I think what is very important is that people find the wines that they enjoy, and that the description of the wines, what they taste like, and what they go with is more beneficial, of more use, more value to our members. I like to focus on those descriptions and people can find, you know, if they enjoy a Sauvignon from a particular region, that we’ve got alternative things that they might enjoy of a similar style. Maybe Sauvignons from other regions or maybe other great varieties but which fall into that sort of category. I do score wines. I score them out of twenty for my own benefit. And again, if you’re looking at scores that anyone has written you have to understand the context in which they’ve done it. My scores are not absolute scores. They’re scores in terms of the price of the wine, and the value for the money that it offers. I think it’s, I prefer to actually concentrate on what the wines actually taste like than publishing scores. Yeah, absolutely. That is true. People really gravitate toward the score. It’s just a, they do that quick QPR, quality, meaning the score, price ratio, and try to get the, maximize the dollar and point score ratio. But it’s not always the case. I just want to take a moment to pause here folks, and just let you know that if you are enjoying our chat, please share this video. And even better, when you share, let others know why, or tell them that they might enjoy this even if they catch the replay. And if that’s what you’re doing now that’s great. Those who do share and comment will be eligible to win a signed copy of Unquenchable, which we’ll announce next week. And I will be announcing winners at the end of this session for last week’s contest, so do that. And if you want to know when we go live, please click on the “Follow” button. I’m going to go back now to some comments, which are piling in here. Marty, welcome Marty Bratt, and Bill Daly. Paul Hollander, “Is this group just for wines in Canada or does it include the U.S?” This is just a Canadian club, I believe, yes. And Beverly had that question as well. Yeah. I mean, first of all, I love food. Probably as much as I love wine, so we do a lot of cooking at home. I wouldn’t say I favour any particular cuisine, because I think some are more difficult to match to food than others. And probably one of the ones that I love, and which is very popular in the U.K., is Indian cuisine. And that I find quite difficult to match with wines, although there are a lot of more aromatic wines that go very, very nicely with Indian food. But no, we eat a lot of French, Italian, Thai food, Indian food, Japanese. Yeah, it’s the challenge of actually, also, when you’re cooking at home and designing a dish, what are we going to drink with it? Cause quite often it’s my other half that does the cooking so I have to blend the wine. Whereas I would sometimes work the other way around. I fancy this wine. Let’s find what we’re going to eat with it. I mean, we both, myself and Rob, like Gin. And that’s been a hugely, I don’t know whether it’s taken off in Canada to the same extent, but in the U.K., in Spain, in France, Gin is a massive area now, where people are launching new Gins all the time. Many of them I have to say I’m not that keen. I come back to some of the old classics and things, but yeah, we have been known to sit there doing Gin comparisons, and trying different Gins, and different tonic waters, and being little bit Anaraky about that. Spirits, I don’t drink a lot of spirits, but I did work in Cognac when I was a student, and sort of between studies and things. I am interested in Cognac and in Malt Whiskey, although I am by no means an expert on Whiskey. I mean there’s just, anything that has smells and flavours. Yes, it’s interesting. It’s just how much time do you have for all these different things? That’s true. How much can your liver take, I guess? Oh, well gee, this is just flown by. I can’t believe we’re already at quarter to the hour. I kind of wanted to wrap up and then I have some more stuff for you folks. So stay online after we wrap up this piece of conversation cause I have lots of announcements for you. But Jane, where can people find you online if they want to interact? Are you on Twitter? No, okay. That’s all right. Facebook, I guess through the Opimian page. We could find you there. Through Opimian would be, yeah. It’s not that I don’t want to talk to people, it’s just I am, to be quite honest, I’m a bit of a dinosaur when it comes to technology and social media. But because I travel a lot and have lot of emails and things. But, no, of course, if there are any questions or any contact, then through Opimian is the best route. Absolutely. And I, Jane, will send you the link to our chat tonight after it ends. And it’d be great if you do have some time to go in and respond to some of the questions we didn’t get to. They all went so fast. That would be awesome. But yeah, no, I really appreciate you joining us here, Jane. And I wish you best of luck with your travels, the seminar, and of course all of the massive projects you have on the go from Opimian to the Institute of MWs. Congratulations on such an accomplished career and we look forward to what you do next.